These wall lights are notable for the quality of the bronze casting, and for the striking contrast created between the patinated and gilt surfaces. 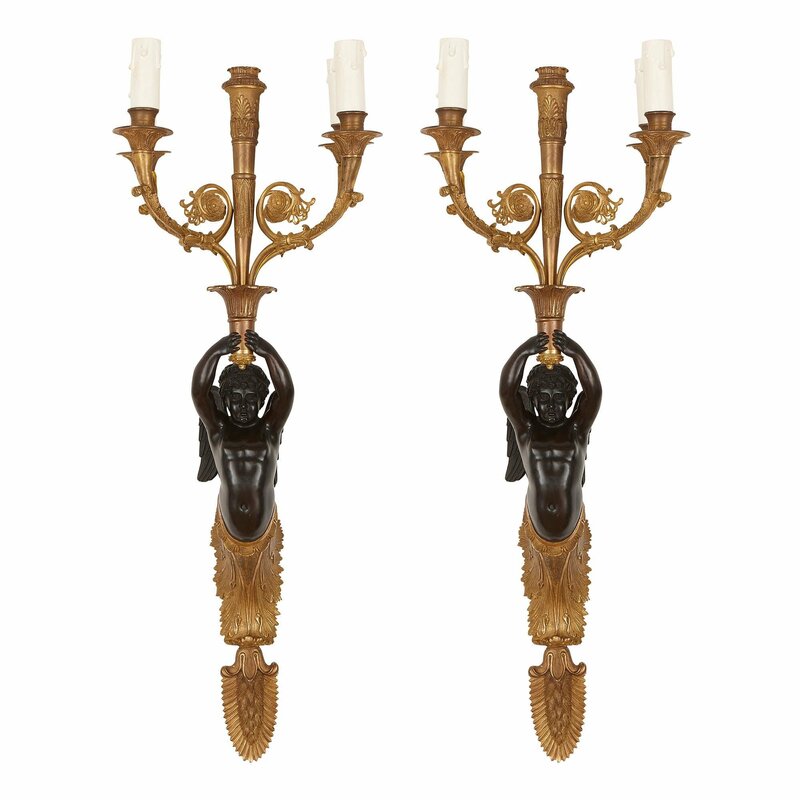 These two wall lights have been designed in the French Empire style. 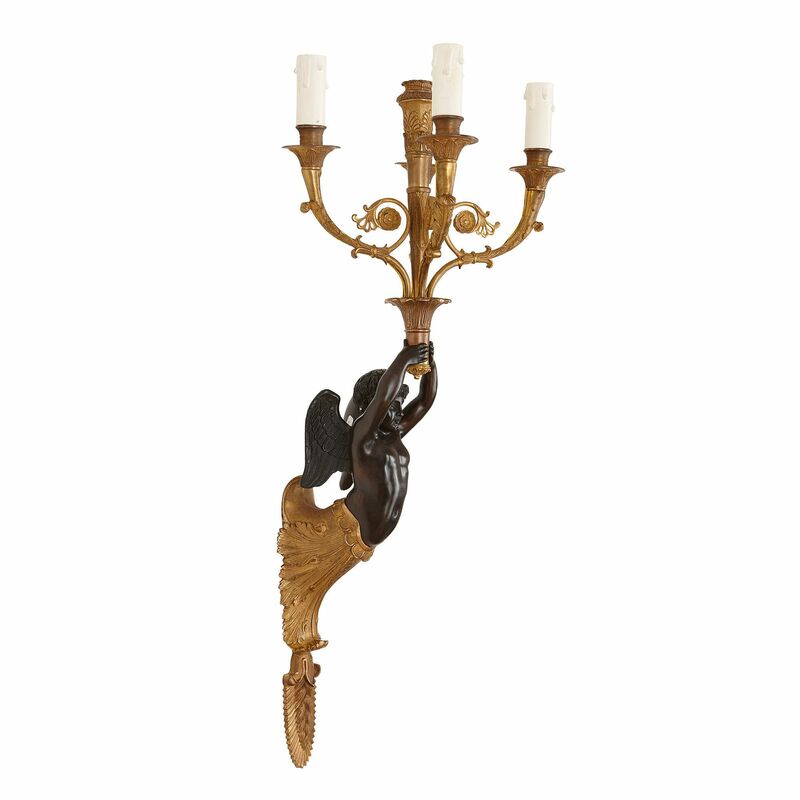 Each takes the form of a five-light gilt bronze candelabrum, which is held aloft by a winged patinated bronze figure. 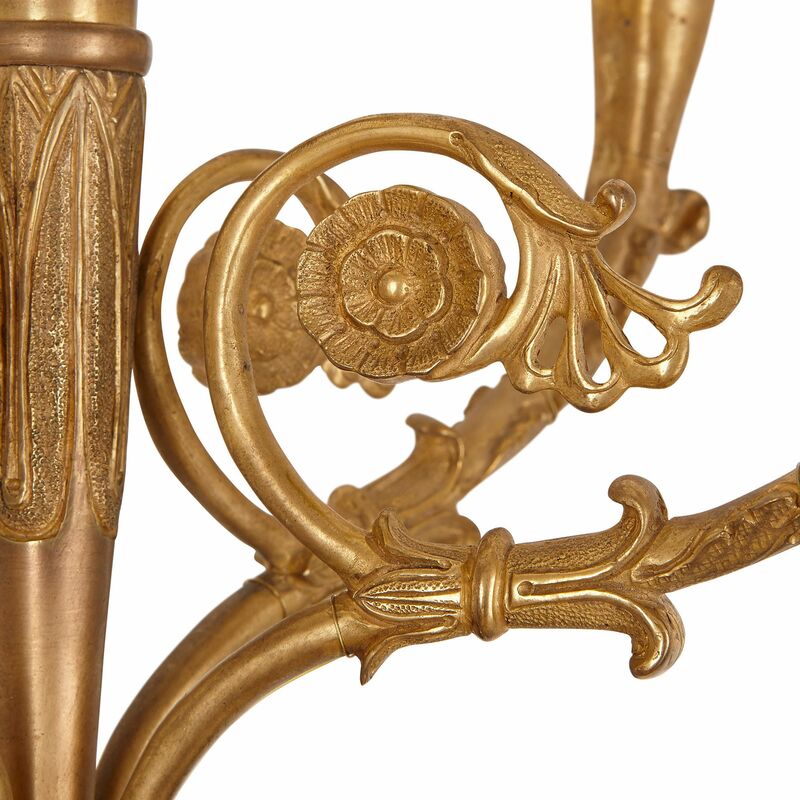 The candelabra consist of five arms, one of which extends directly upwards from a centre point, while the other four curve outwards. 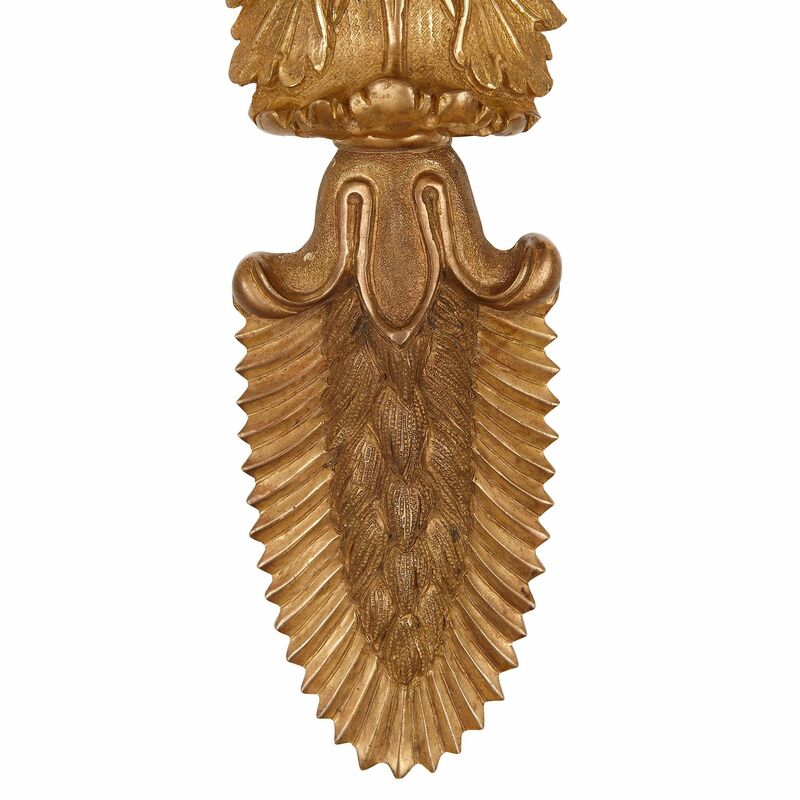 The central arm is cone-shaped, and is decorated around its top with palmettes. 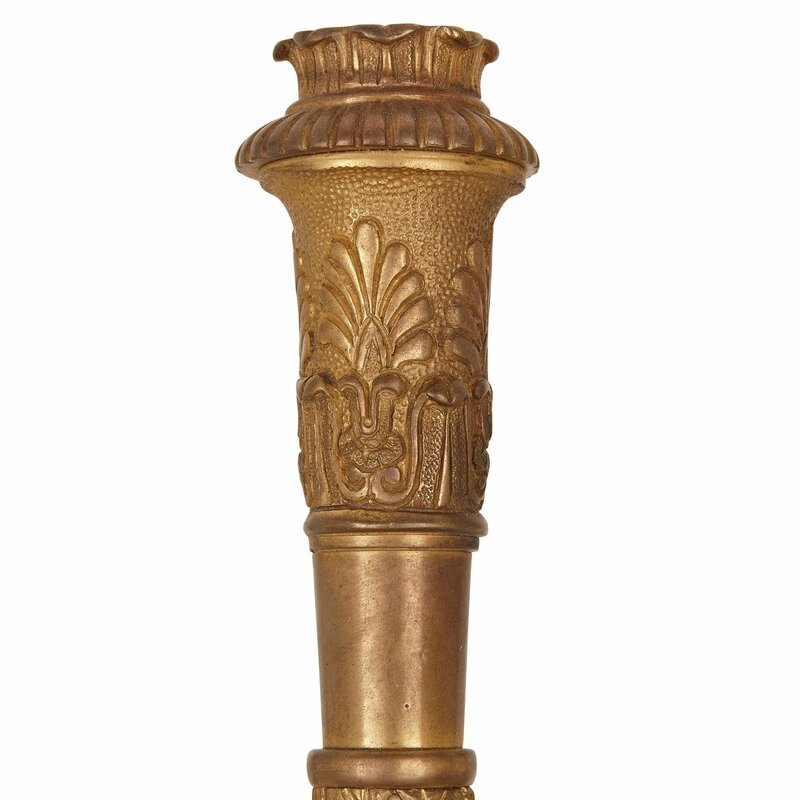 The other four arms are ornamented with scrolling foliage, and curve out- and upwards to terminate in wide, leafy drip-pans, simple capitals and candle tubes. 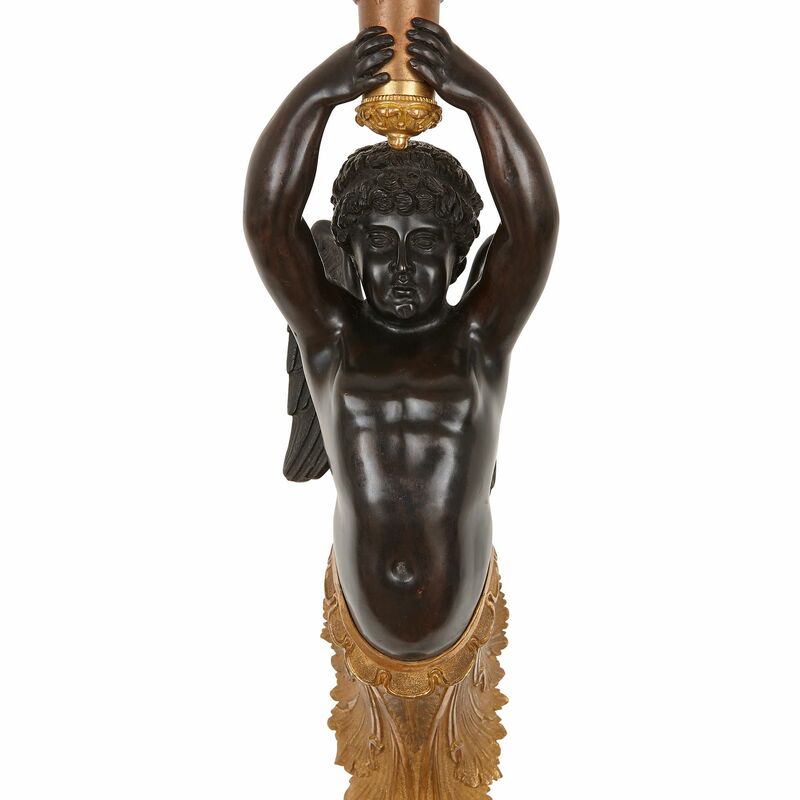 Each candelabrum is carried by a classically-inspired patinated bronze cherub. 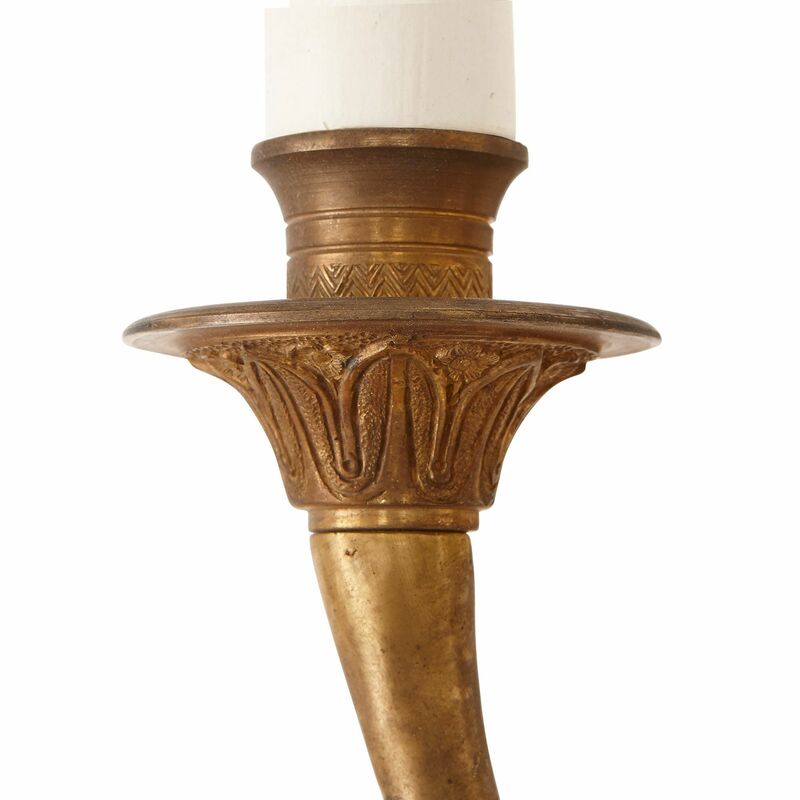 Each figure wears a leafy gilt bronze skirt, with a stylised foliate tip.